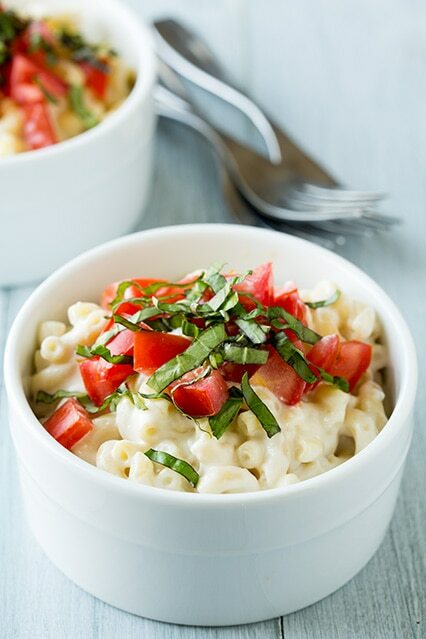 Caprese and mac and cheese, they should just go together shouldn’t they? I completely love both of them so I say they are meant to be together. I don’t think I’ve ever made a mac and cheese with mozzarella as the only cheese used in the sauce, but in this case it is the only cheese that you’ll want to use. 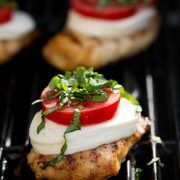 If you were to add any other cheese it would hide that deliciously creamy and fresh flavor of the fresh mozzarella cheese. I considered adding in garlic but again I wanted to stick to the traditional Caprese flavors. 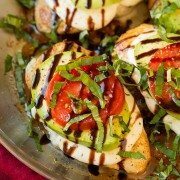 I’d say if there was one ingredient that you would maybe want to add to switch it up, it would be a hint of balsamic reduction that is occasionally added to Caprese dishes (just lightly drizzled along the top). This meal is a breeze to prepare and I love that it’s something fancy enough for adults to love yet basic enough for kids to equally love. 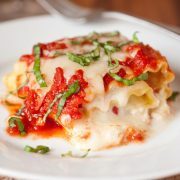 15 minutes meals are the best and you can have this ready in 15 minutes if you boil the pasta while preparing the sauce. Enjoy! 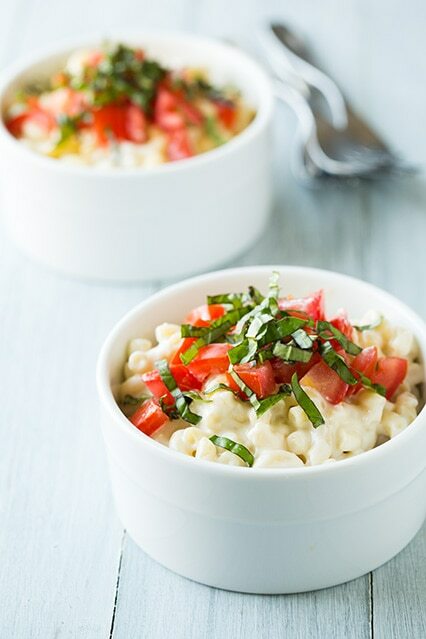 Mac and cheese gets a delicious upgrade with fresh caprese flavors! Cook pasta according to directions listed on package to al dente. Drain pasta. In a medium saucepan, melt butter over medium heat. Once butter has melted, add in flour and cook, whisking constantly, 1 minute. Slowly pour in milk and cream while whisking. Increase heat to medium-high and bring mixture just to a boil, stirring constantly, then reduce heat to low. Stir in fresh mozzarella, and cook, stirring constantly until melted. Season with salt and pepper to taste. Toss in drained pasta and let rest over warm heat for 2 - 3 minutes. Plate pasta and top with diced tomatoes and fresh basil. I bought a fresh ball of mozzarella and shredded it by hand into little pieces. I followed Jaclyn’s directions and when it came to adding the cheese, I added very small handfuls at a low heat. I stirred continuously until each handful was melted before adding the next handful. I also suggest “folding” your sauce. It helped me see if any bits were left un-melted. It takes a little longer but all my cheese melted very nicely. As always don’t forget to taste throughout your cooking process. I ended up seasoning twice because I ended up with more sauce than anticipated.